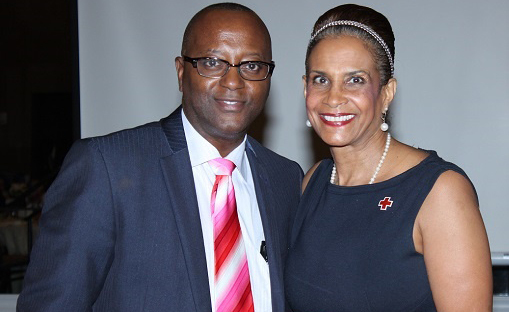 YMIC began with an idea generated by its founder and President, Mr. Richard Roberts III. As a young engineering student at Widener College, Richard took note that there were not very many young men of color in his program of study. As a professional in the engineering field, he also found that colleagues from minority groups were few and far between. He began to formulate a concept: a program that would support African American and Latino males to develop their academic skills and gain the social supports they would need to be successful in college and in their careers. In 2007, YMIC became incorporated, and in 2010, received its 501 c3 non-profit certification to provide services to youth in fifth through twelfth grades in Philadelphia and suburban communities. The inaugural class of 18 male scholars began the West Chester chapter in the fall of that year. During the 2013-2014 program year, YMIC opened its doors to young women and began doing business as Young Men and Women In Charge (YMWIC) Foundation, Inc., to include programs in STEM-related leadership for young men and young women. YMWIC’s mission is to empower and prepare economically disadvantaged and historically underrepresented youth to excel and become leaders in (STEM) careers through academic tutoring, mentoring and financial assistance programs, accomplished by leveraging alliances with K-12 school districts, universities, corporations, and the Foundation’s committed partners. This mission is accomplished by embracing a family model that provides individually targeted services: academic support and tutoring, leadership development, public speaking, junior mentoring, scientific research projects, college readiness and industry experiences in many STEM-related careers. Once enrolled in the organization, each young scholar and his or her family become part of the YMWIC family. They make a commitment to stay in the program until high school graduation, to participate fully in program activities and maintain a high grade point average. While in college, thanks to the commitment of YMWIC’s corporate partners, each scholar who maintains the Foundation’s academic requirements and standards will be eligible to receive scholarship support and participate in internships that will prepare them for STEM careers. 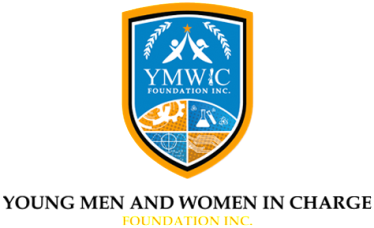 YMWIC Foundation, Inc. offers four academic scholar groups for students in grades five through twelve. Aligned with the Foundation’s mission, scholar groups and activities aim to bridge the gap between academic study and real life, by providing opportunities, projects, and challenges that simulate real-world activities. The Future Stars and Neptune scholar programs are designed to increase students’ appreciation for math and science, through hands on projects that demonstrate the fun and challenging side of these subjects. Technical workshops in STEM are administered by staff or partners, so that scholars can gain deep insight and exposure to these careers and opportunities. Jupiter and Saturn scholars participate in more leadership and career readiness activities, as well as research projects to prepare them for the rigor of the STEM undergraduate curriculum. Through the YMWIC Credo memorized, each scholar is reminded about accountability and the importance of giving back. YMWIC has five chapters in the Philadelphia area, including our newest chapter at the Collegium Charter School. Through a U.S. Department of Education TRIO Upward Bound grant for first-generation, low-income and at-risk students, the Coatesville Chapter will reach even more students. To date, YMWIC is serving a total of 150 scholars and 23 alum, all of whom are continuing their studies or pursuing a career in a STEM field. During the summers, YMWIC serves an additional 225 students in grades 1st through 12th with an emphasis in STEM. The efforts of Richard and the services from YMWIC have given many families hope through knowing that college and these careers are within reach for their children. The community model is implemented through partnerships with corporations, universities and other non-profit and community organizations. These partners participate in all levels of the program. The goal for this community-based model is to implement it in all of the low-performing school districts in our country. This accomplishment will make a significant impact on the achievement gap among African American and Latino youth in math and science, increase the number of women in STEM, and improve economic development through these youth as they are in position to secure higher-paying jobs in their communities. We accomplish our mission by embracing a family model that provides individually targeted services: academic support and tutoring; involvement of the family in each young scholar’s program; participation in YMWIC programs, such as robotics competition and college tours; and assignment to a personal mentor in the STEM professions. Once enrolled in the organization, each young scholar and his/her family becomes part of the YMWIC family. They make a commitment to stay in the program until high school graduation, to participate fully in program activities and maintain a high grade point average. While in college, thanks to the commitment of our corporate partners, each scholar who maintains the Foundation’s academic requirements and standards will be eligible to receive scholarship support and participate in internships that will prepare them for STEM careers.